Mike Schmitz takes us on a tour of his OmniFocus setup and shows us how he's using OmniFocus 3 for Mac (beta) and iOS to help manage his multifaceted life. Mike walked us through some of the workflows and processes that support him in doing meaningful work that makes effective use of his time, energy, and attention. He emphasized the many ways that OmniFocus 3 tags are helping him bring simplicity and flexibility to his system and how OmniFocus 3 for Mac (beta) is already helping enhance his clarify and productivity. In addition to sharing details of his OmniFocus setup and workflows, Mike talked how he uses OmniFocus alongside other apps, including the Jira team management app. He also talked about the benefits that he derives from using good-old-fashioned pen and paper and the strategies he employs to make sure that his purpose and values are consistently front and centre. 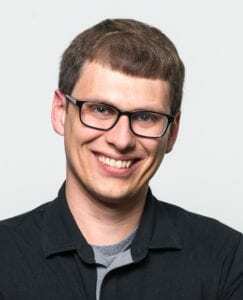 Mike Schmitz is an Apple fanboy, coffee snob, and productivity junkie who enjoys helping people make the most of their time, attention, energy, and focus. He's a product director at Asian Efficiency and a regular contributor to ScreenCastsOnline. He’s also the author of the book Though Shalt Hussle and hosts The Productivity Show, Bookworm, and Free Agents podcasts. Mike's Blog — Mike's blog is a great way to stay in the loop on his many gigs and projects. You can also follow Mike on Twitter @bobbleheadjoe. Faith-Based Productivity — "A video course to help you connect to your calling, discover your destiny, and live the life you were created for." At the time of recording this course was still under development. Visit the website to sign up to be notified when it launches. 12 Week Year — An approach that breaks the year down into 12-week periods. Check out their website for more information.